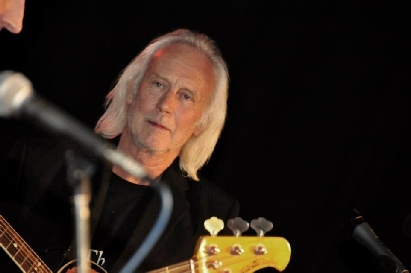 Born in Sheffield 31st August 1943 I was about 13-14 years old when I got interested in music. With my brother Martin and 2 friends we formed a skiffle group in 1957. I made a git from a cigar box with nylon strings from necklaces. tea chest for a bass and a tambourine for drums. We wailed through Lonnie Donegan in the front room it must have been awful ‘cause I didn´t know any chords, made them up. At 15 I worked as a Tool-maker, the others went to high school (which was beyond me). So I was on my own with music. 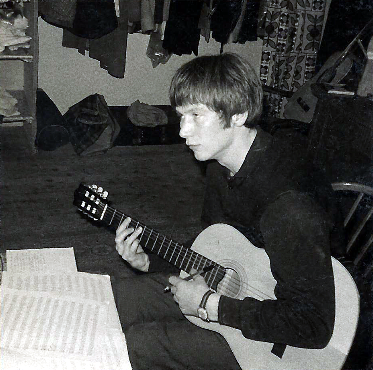 I made a nylon acoustic git and started with the usual Bert Weedon “Play in a day” book (his boogies later formed the basis for the bass.) I started writing songs as I wanted to be on the creative side of music. 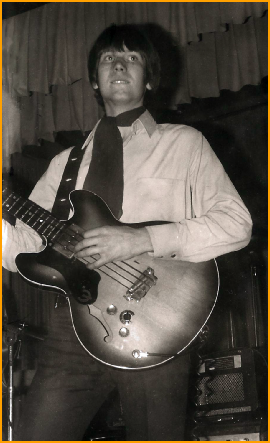 Mum saw I was really into music and that Tool-making was not going to be my life, aged 17 they bought me a Hohner bass. I auditioned for a top Sheffield band Shaun Dean & The Ramblers and worked with them until I was 19. Now I was fully convinced music was for me and with the money I´d saved and my parents approval, I got on a train to London (about as far away as Tokyo is today). I joined the Downliners Sect at that time not known about April 1963 as part of the new line up, I cannot remember the names. Left them 4 months later as it was not my kind of music. 1970 I was accused of embezzling money from the company, which O´farim (lucky for me) later found out it was somebody else. 2 years later he was broke. Check:- here for a discography of what I was involved with. 1973 I wrote “Hello herr Nachbarn” for artists Cindy and Bert.This came 2nd in a German song competion from 800 songs and went to No 12 in the charts. One year there was a musicians strike in Los Angeles. and the producer and arranger for the Dallas and Denver TV themes music came to Munchen to record. I was on the session. 1978 Wrote and produced “Automatic Lover” with singer D.D. Jackson, which reached No4 in the British charts receiving a Silver disc. The disco era in Munchen petered out end of 1981. Computers took over the drums and moog the bass. During this time I was married to Patti with 2 children. Marc. Now a New York DJ and Carly is running her own website in Spain. 1980 got divorced. I needed something to take my mind off music. So I started sailing (a lifelong dream) and later found a job on a cruiser ship which took me half way round the world. 1985 Got married again to my best friend Timmy Touchton (a lyric writer), built a small recording studio in Munchen. We wrote and recorded a couple of artists but nothing really took off. 1991 I got divorced again. The Melody Maker was the connection for musicians, you wrote a letter to a box number, got a job!!! My time in London was not swinging! sometimes not enough money to pay the rent for a bedroom. I was just surviving in different bands, one of them was Sony Childe & The ******* We did a short tour backing Clarence Frogman Henry. 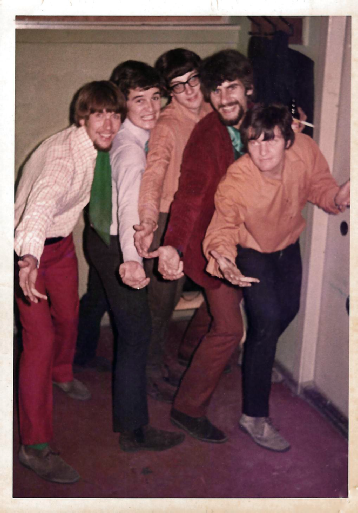 Then I joined The PackaBeats replacing Ted Harvey in 1963 (who left to join The Hi-Fi’s). Lead guitarist Malcolm Lenny became a lifelong friend. The following year 64, I joined The Hi-fi’s.Up front, my time with them was fantastic, good friends and musically very interesting. Brian Bennett a brilliant musician, he arranged all our vocals. We sang all The Beach Boys stuff, and when Good Vibrations was released, we said “no go”. Then a club owner in Wuppertal, bet us 2 bottles of whisky. Brian Bennett came up with the arrangement and we won the bet. Brian had a dry sense of humour and never complained about his illness. Malcolm Wright was the quiet one, a reliable musician and person. He kept us together on stage when all of us had a bit too much to drink. We did a 10 day tour of Scotland in February 1964 (The Beatles All My Loving was just released) I remember one night, travelling to the next gig, the van broke down!! It was cold and sitting in the van Mick Douglas had his head on my lap, I decided to look for another place to sleep. An outside toilet of a hotel did the job. 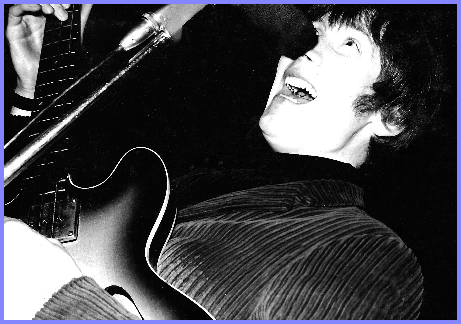 Another night I recall we were the supporting group for The Hollies. It could have been the Hammersmith Odeon,(now The Apollo). 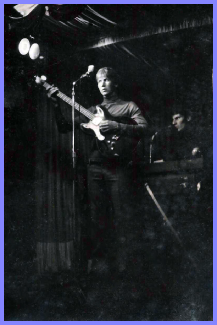 After 3 successful years in Germany I left the band in 1967, we were running out of steam and there were marriages and kids involved. All this time I was writing songs, some of them got used on The Hi-fi’s album Snakes and Hi-Fi’s. I tried selling them in London with no success. Went to visit friends in Mönchengladbach, and got a connection to the Musical Hair and joined it for a year in a Hamburg Theatre, which led on to working for a producer Abbie O´Farim as his co-producer in Munich 1968. He and his wife Ester had a number one hit with Cinderella Rockafella. During my time with O´Farim in the recording studios 3 of my songs were recorded-“I think I love him now”-“Lucky for you“-“Ich bin an deiner seite”. I met a couple of young musicians. The drummer, Kieth Forsey was later the producer for Billy Idol and lyric writer for "What a Feeling" and Paul Vincent is now writing TV themes. 1992 met a woman painter Eva Mayr living in Italy, so quit the studio and moved to the “Marce”. Opened a small recording studio again, recording local artists, also a theatre piece. All the time writing songs and sending them to different record companies and artists. A few were recorded but no chart success. In 2006 decided to quit the music business, fortunately my song writing brought in enough to live on. I sold the studio and bought a 34 foot Gib Sea 105, which gives me great pleasure sailing around Kroatia. I am now writing songs for myself and hope in the near future to record a CD. Recently on U-Tube (Type in --gary unwin G-force), I stumbled across a reel to reel tape of mine, an LP I wrote and produced in 1980. I´m now going through the process of finding who stole my tape. So that’s my story so far, watch this space for the next episode. Gary Unwin. The Hi-Fi's 2nd trip to Monchengladbach Germany. Nov;2012.